Mr. Ferdinand Meder has dedicated his entire career, from 1970 until today, to the protection of Croatian cultural heritage. In this time, he has acted as the first response to numerous threats to Croatia’s heritage. As a conservator and art historian, Mr. Meder has spent his career working in the conservation and restoration of architectural and cultural heritage, in recording and documenting cultural monuments and in raising awareness of Croatian culture. 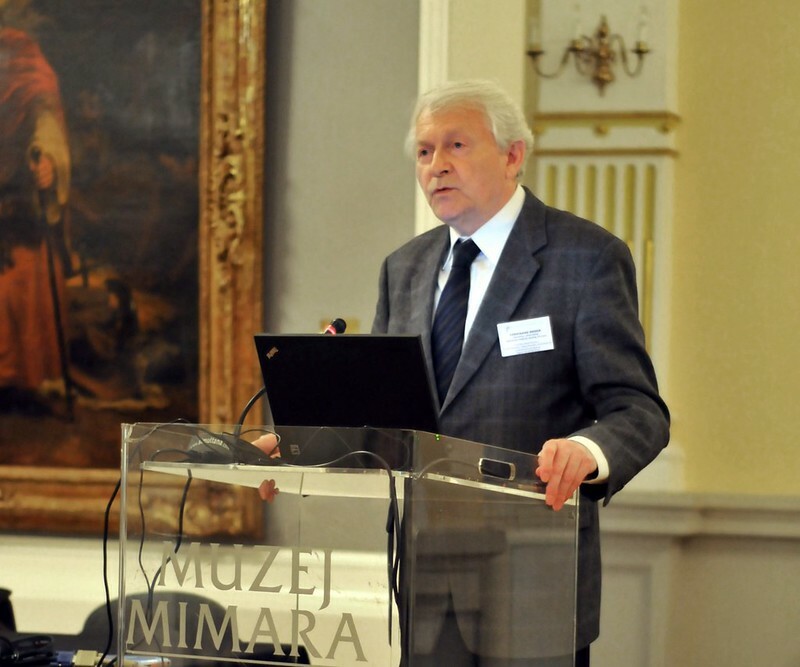 Throughout his career he has served as director at some of the leading heritage institutions in Croatia. In these distinguished positions, Mr. Meder has used his influence to make a significant contribution to the improvement of the restoration and conservation professions. Internationally, he strove to create links with a variety of key international institutions in the world of culture and heritage including ICOM, ICOMOS, UNESCO and the Council of Europe. His ingenuity in seeking solutions when few resources were available is evidenced by the extensive restorations that he enabled. His expertise and persistence were central to the restoration of Dubrovnik after the earthquake in 1979. In the early 1990s, during the period of military conflict, Croatia’s cultural heritage suffered extensive damage and destruction. Mr. Meder, in his role as Director of the Institute for the Protection of Cultural Monuments, worked to salvage and restore monuments which faced destruction and to draw the attention of the international community to the extent of the damage. These are just a few of the countless actions he has taken throughout his career to serve cultural heritage. Mr. Meder’s dedication to his profession was evident in the way he has fought to improve the public institutions and services which enable the profession to function in the best way possible. For example, Mr. Meder contributed to the establishment of the first three restoration graduate studies in Croatia and developed and implemented state qualifying exams for conservation-restoration professionals. “Mr. Ferdinand Meder has instituted the profession of conservation and elevated educational standards in his country. He sets a fine example for public service in conservation”,stated the jury. “Mr. Meder has gone beyond the call of duty. Throughout the different eras of his country, he has adapted and has always worked in the interest of cultural heritage. Even in periods of conflict, he has exercised his unflinching dedication to the defence of heritage and has raised awareness in the international heritage sphere”, highlighted the jury.